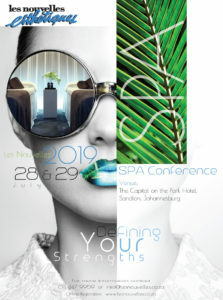 A must attend event for all spa managers, salon or spa owners, and wellness professionals. Strengths are tasks or actions that you can do well: talents, knowledge, and skills to achieve goals. Visionaries solve problems by asking and answering the question, ‘where do we intend to go and why?’ Everybody and company has their individual set of strengths. 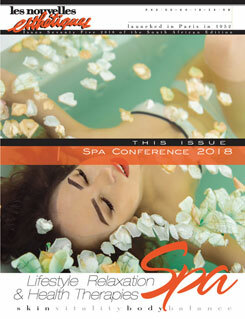 Les Nouvelles Esthétiques, now published on 26 countries, with head office in Paris, France, has been an international leader in providing up-to-date beauty and spa information for the past 65 years through their international network of magazines, conference and exhibitions. The South African magazine edition of Les Nouvelles Esthetiques Spa Magazine launched in October 2002 and the Les Nouvelles Esthetiques Spa Conference and Spa Award in 2005 and has grown from strength to strength, as we focus on providing the industry with important information on new trends and up to date knowledge in the world of spas, encompassing all aspects of professional skincare, bodycare and spa therapies, spa design, spa management and spa lifestyle.